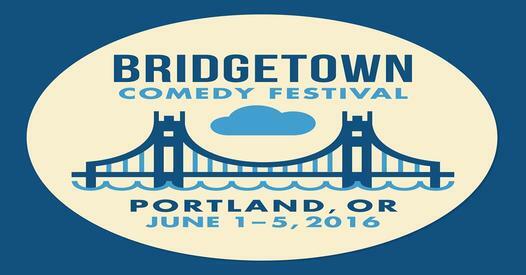 Bridgetown Comedy Festival starts June First! It’s finally here: Bridgetown Comedy Festival starts tomorrow night, June 1st at 7:00pm with the Festival Kick-Off Show at Doug Fir Lounge. You guys have been following this series for two weeks now as we’ve shined a spotlight on some of our great local performers and their thoughts on Bridgetown. 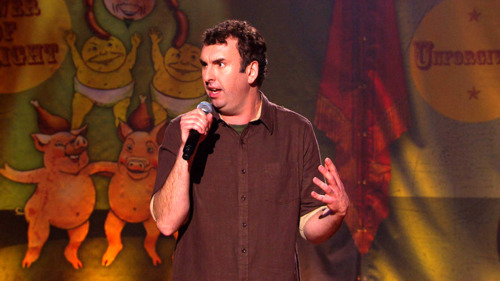 Everyone is super excited for the festival to start, including its founder, Matt Braunger. Matt, a Portland local for most of his life, premiered Bridgetown Comedy Festival in 2008 with headliners Patton Oswalt and Tig Notaro. Since then, the festival has come to be a standard in the comedy world along with other festivals such as Just for Laughs, Oddball and others. Here, Matt gives us a little insight on how BCF started, the challenges faced and the future of the festival. Q: Can you tell me a little bit about what life as a comedian in Portland was like around the time you started BCF? A: When we started Bridgetown, I was in Los Angeles, and had just started getting noticed as a comedian. In fact, my first televised stand-up gig “Live at Gotham” taped the last day I was to be at Bridgetown. I had to leave for NYC midway through our maiden weekend to go shoot it (and totally missed Patton Oswalt’s sets (boo!)). For the last couple of years leading up to it I had been flying home to Portland, playing little divey places, and having Andy Wood (my co-founder) open for me. It was his idea to ultimately start a little festival in Portland. By then I’d been in LA for about four years. I’d do two shows in a renovated funeral parlor, charge five bucks, split it with Andy, and sleep at my parents’ house. The door charge would just barely cover my plane ticket. Q: What was the inspiration behind BCF? A: We just wanted a comedy festival here, and realized Portland needed one. Thankfully, we also had Andy Wood, who was the type of guy who figured out how to own and rent out a house while still in his 20s AND start a comedy festival. From the beginning he had the organizational skills and I had the famous comedian friends to ask to do the festival for not much money. That changed later on as we grew. Now it’s a part of the fabric of Portland, and everybody here looks forward to it. Last year a hipster kid just walked by me and high-fived me on the street. Didn’t say a word. Hilarious. Q: What were some of the obstacles you faced when you started BCF? A: As far as obstacles, the biggest one was getting coverage and press. That and getting people to play the festival for not much money due to our lack of resources. But I really remember the frustration of getting told by local outlets that we had “No hook” to make it news. Uh, it’s the first and only comedy festival in Portland, and Patton Oswalt and Tig Notaro are coming our first year. That’s not a hook? One paper wanted to interview Tig specifically about being a lesbian in comedy, but she didn’t want to talk about that so they called the interview off. So dumb. Q: Who were/are you most excited to book for BCF and why? A: I’m always excited to book people we’ve never had, both famous and non. Rachel Bloom was a huge get for us this year. It was awesome to be in the audience at the Critic’s Choice Awards this year and seeing her win one. I watched her giving her speech, thinking to myself, “Wonder if she’d do Bridgetown….,” and now she is. The thrill of Patton calling to ask to do the first year gave me chills. But you just can’t beat young comics who’ve never been a part of a festival wandering around Portland, starry-eyed. That’s probably what gives me the biggest charge. Q: Out of all the years you’ve been involved with BCF, what is your most memorable moment? Q: What are you most excited about when it comes to the future of BCF? A: As far as the future is concerned, I’m excited about it hopefully expanding without changing too much. I want more resources to pay people what they deserve, but to continue to book famous and completely not famous people in equal measure. I’m such a huge comedy fan, I just want people to love it like I do. I mean, I’m the guy who can say people’s jokes back to them. I collect bits in my mind. Life is full of pressure and pain, and laughing sets us free from that for a little while. Also, it’s crazy to look around and see everybody (comics and audience members alike) having the time of their lives in my hometown. With me. I love it. Matt has 6 appearances at Bridgetown this year including the Festival Kick-Off Show. Tickets are still available at www.BridgetownComedyFestival.com. Get into it! Previous PostYouth Showcase photo album from Saturday 5-28-16Next PostAl’s Den Resident Jeff Campbell: Portland takes care of her own!